On Tuesday, April 26th, at 1 PM EST one of our members, Ian Street, will be featured in the Member Spotlight on Trellis – AAAS’s new platform for general scientific communication and collaboration. This is an hour long series that highlights activities of members and gives them a chance to discuss their work. 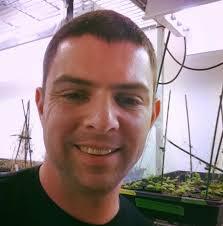 Ian is currently a Research Associate at Dartmouth College studying plant hormones and development in Arabidopsis. He writes about science, science culture, and science communication among other things. In his “spare” time he actively volunteers with ASPB by guest-blogging, tweeting and organizing social media events, especially at our annual meeting. Ian has also been instrumental in creating our very popular discussion series on Plantae called “I’m Plant Scientist_____ And this is how I work”. Follow Ian on his blog The Quiet Branches and on Twitter.